Simply is the follow-up CD to Sandy Bainum’s acclaimed 2012 CD, This Christmas. Simply is an album of some truly memorable tunes from the Great American Songbook and beyond. From the joyous “A Cockeyed Optimist” from South Pacific and the glorious “Goodnight, My Someone” from The Music Man, to the pop hit “You and Me Against the World” and the electric “On the Other Side of the Tracks,” the songs of Simply are filled with timeless, straightforward sentiments and beautiful melodies. Sandy wanted to make an album that reflected simple but universal emotions, whether joyous, rueful, funny, or hopeful, and this new CD captures perfectly who Sandy is as a performer. Some of the songs are classics, some are not as well known, but all are melodic and entrancing. The album was recorded in Los Angeles with a phenomenal 34-piece orchestra. It was arranged and conducted by award-winning musical director Lanny Meyers and produced by Grammy-nominated producer Bruce Kimmel. 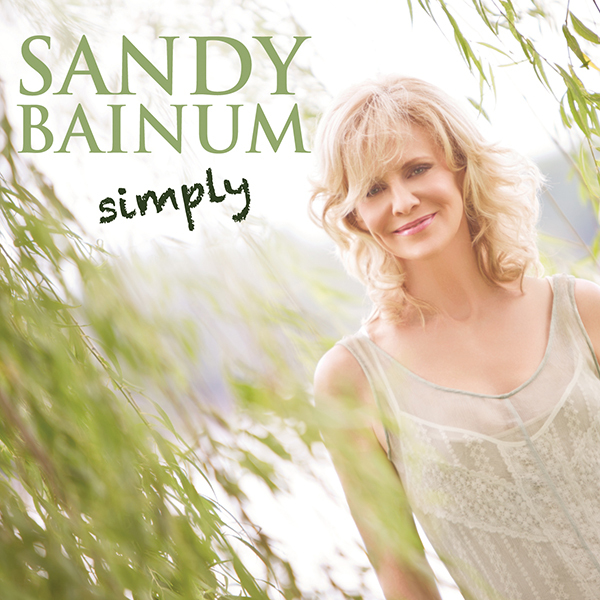 You won’t want to miss Sandy Bainum – Simply. Her vocals are filled with warmth, heart, humor and joy, and the result is a Simply enchanting CD. CD is $17.98 (plus shipping). CDs are in stock and ready to ship. We also offer a special combo price with Sandy’s Christmas CD, This Christmas, so check out that special offer. • Why Can’t I Forget?